Greetings from the bushes! No fake news this time. 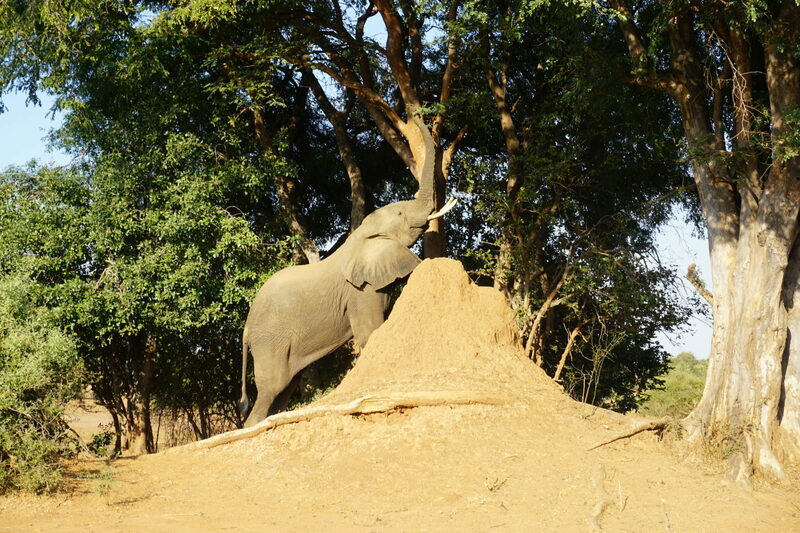 We are proud to inform you that we saw not only one, but several elephants in the bushes during our weekend safari in Lower Zambezi national park. We never expected this experience to be so marvellous. 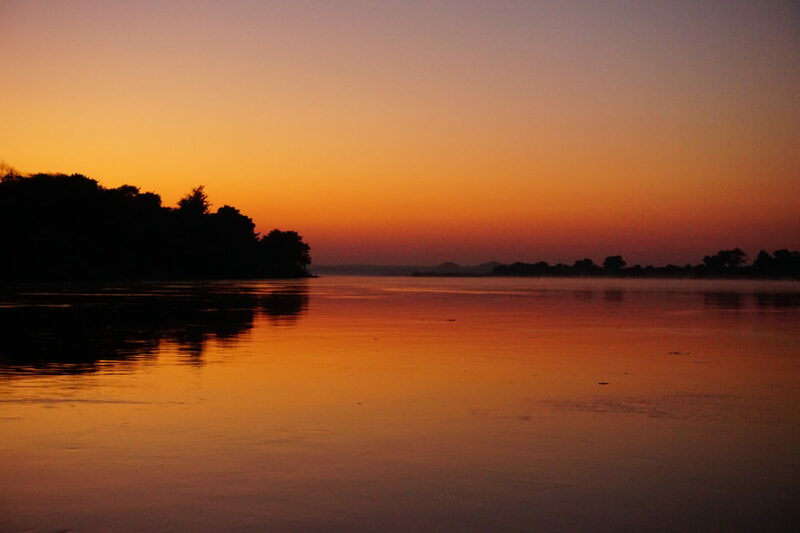 We did a sunset boat cruise and a day of game drive in the park. There were animals in abundance and we had numerous close encounters with them. 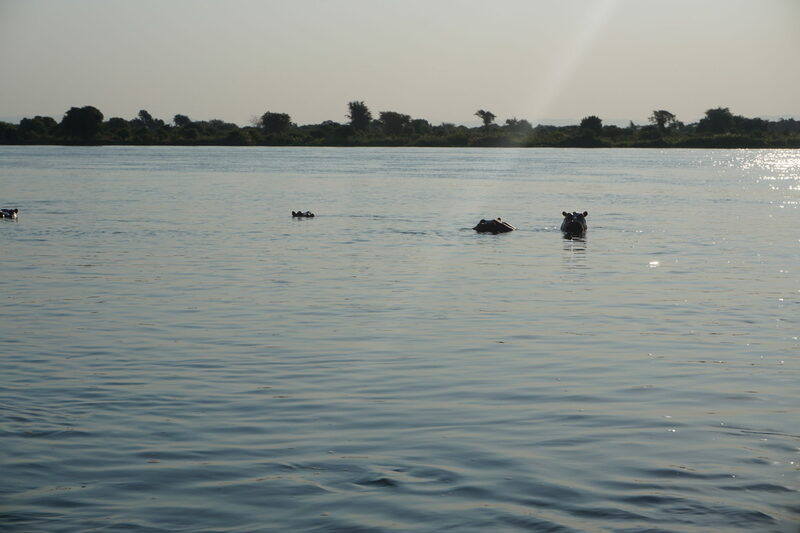 We saw a lot of hippos bathing, yawning, flapping their flexible ears and making pig-like noises. 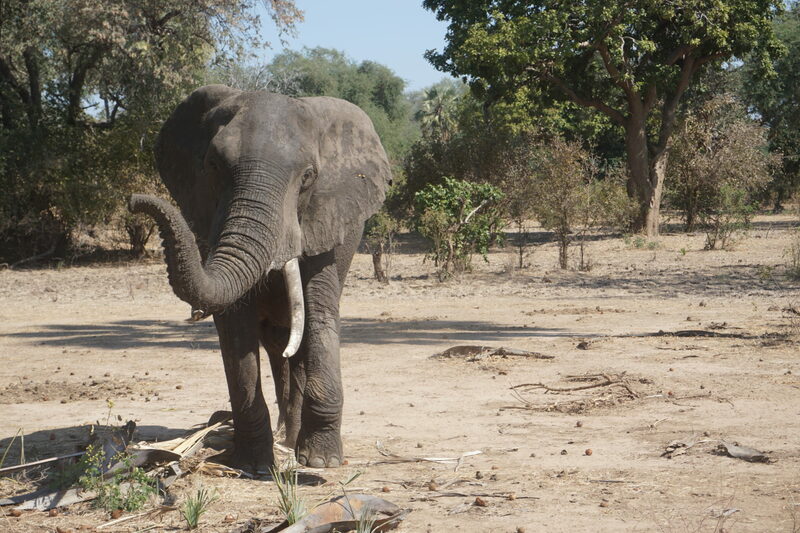 We accidently almost hit a baby elephant crossing the road and got scared away by its angry mother. The lions were very photogenic, lying down in the sun, sleeping and yawning once in a while, not caring even the slightest about the big amount of jeeps with white people with big camera’s surrounding them. 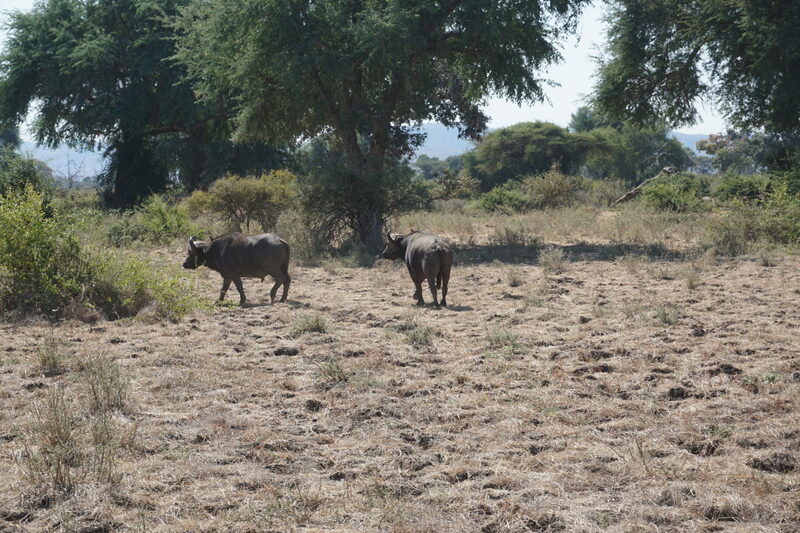 On top of that there were crocodiles, buffalos, impalas, colourful birds, …. Gloria had an amazing time bonding with her animal equivalent, the hippo. The reasons for this comparison will not be specified. We lost Arjan to the beautiful raw nature, we won’t be surprised if he decides to go live in the woods, swing from the trees and wave his long manes in the wind like a proper Tarzan one of these days (we hope the lack of beer in the jungle will be sufficient to keep him with us). 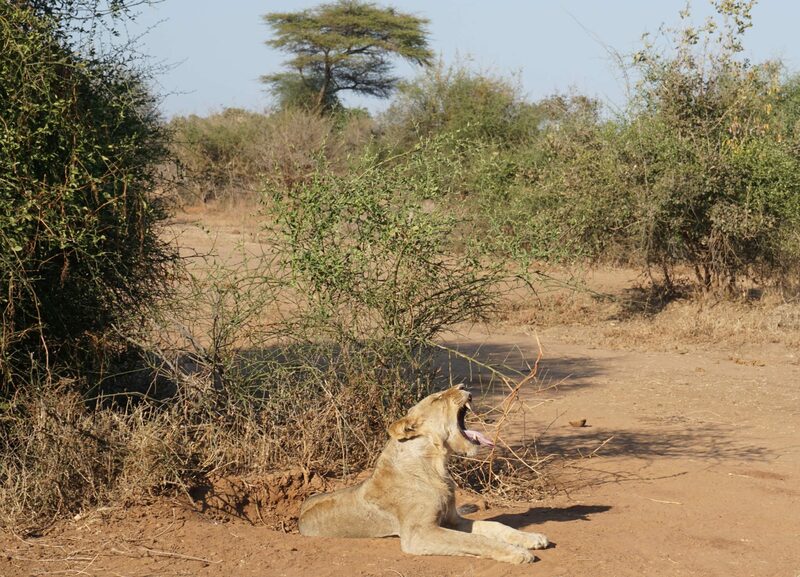 Hellen almost had a heart attack when we stopped next to a group of five lions and the one next to her (estimated distance of 2 m) decided to yawn and show off his enormous teeth (she has had several nightmares about lions ever since). Cedric kept on wondering why all these animals felt the urge to move around so much and got fed up while trying to capture them all on camera. A very successful first safari! 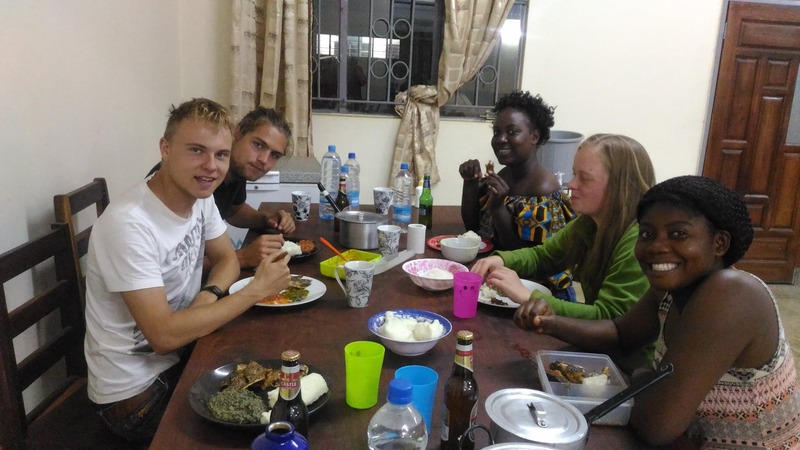 However when we returned to Lusaka, Hellen and Cedric got a very bad diarrhea and had to stay in bed for a few days, oh calamity! Regarding the project we haven’t really been able to see the world through pink shaded glasses the last few weeks. On top of the loss of two good workers to sickness, building the construction got delayed again and we found out that the Zambian definition of sand doesn’t correspond to ours. To improve our mood even more the immigration office decided to declare Thursday afternoon as a day off for their employees to practice ‘sports’, making our trip to the city centre completely useless. 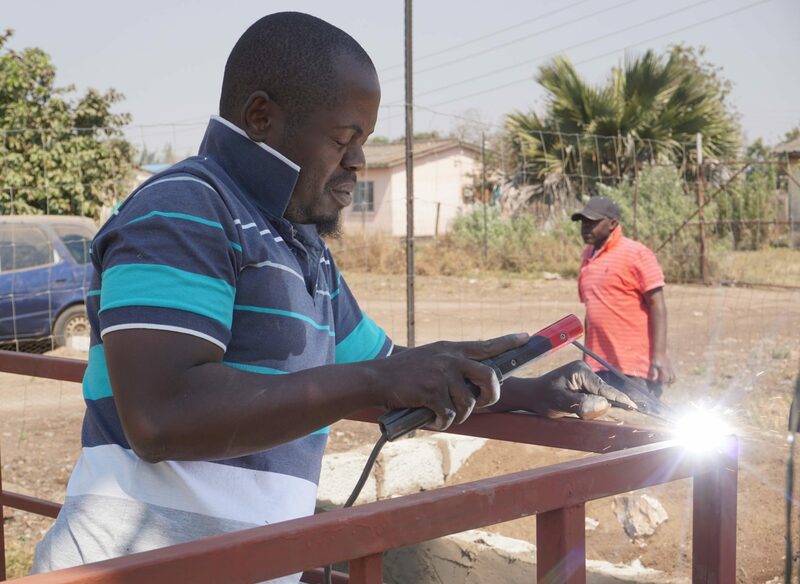 When we could eventually start to build at Kanyama primary school, we realised that even we could have done a better job welding the support structure for our tank (after having only one lesson of welding in our training). You see, protective glasses are there for a reason and welding with your eyes closed usually doesn’t provided the expected result. 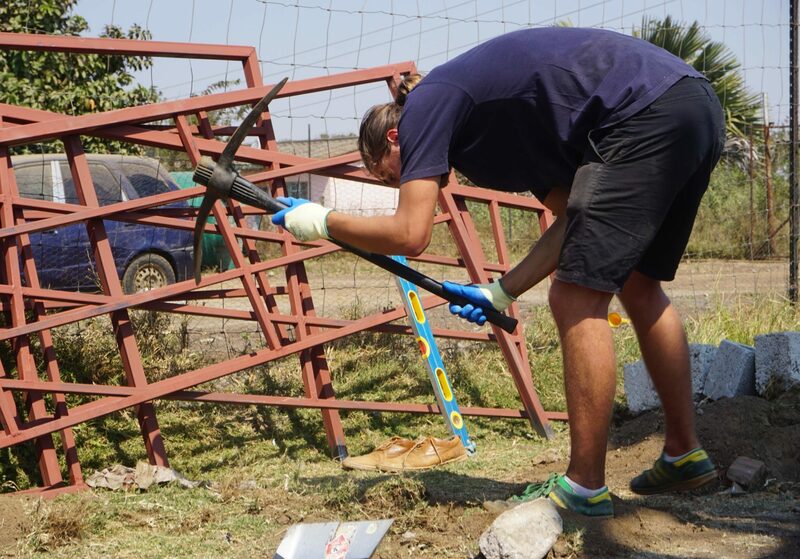 However, the structure was able to support Arjan, so we are more or less confident that the 4 ton sand filter will be no problem either. 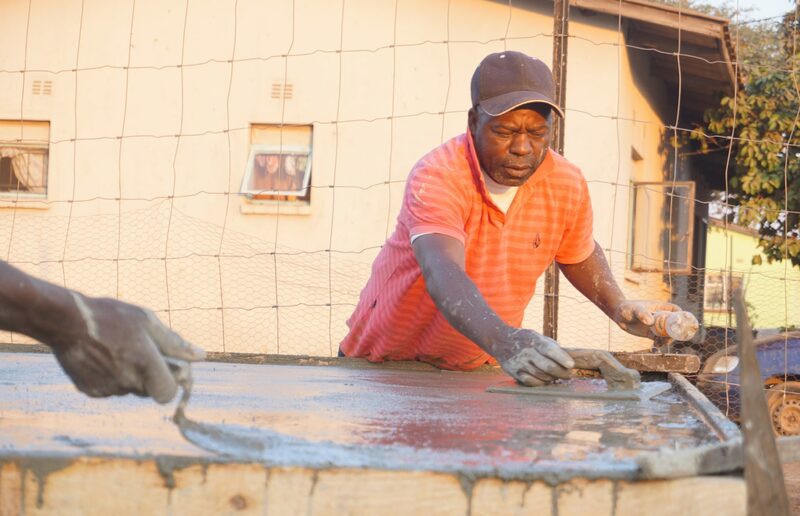 We did manage to set up the support and make a concrete structure for the treated water tank with Mr. Phiri, a very friendly and capable man who is helping us with a lot of construction matters. 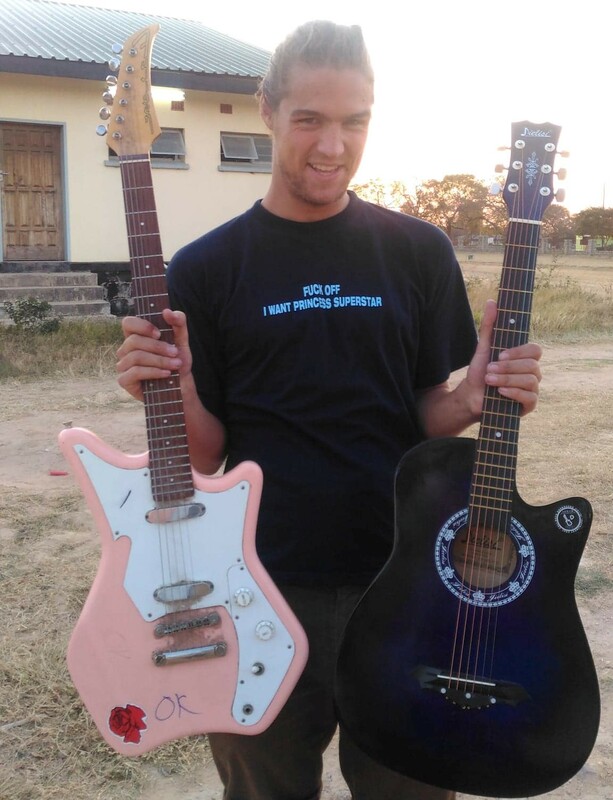 To leave you on a good note, Arjan managed to buy a guitar, Hellen got some paint in the city centre and we got ingredients to bake cake and cook lasagne. We are all able to release our creative nature now! We also find ourselves in great company, we made nshima last week with Cleopatra and Queen!